The grinning maniac who stabbed Harry Potter actor Rob Knox was so violent he was expelled from primary school – when he was eight. 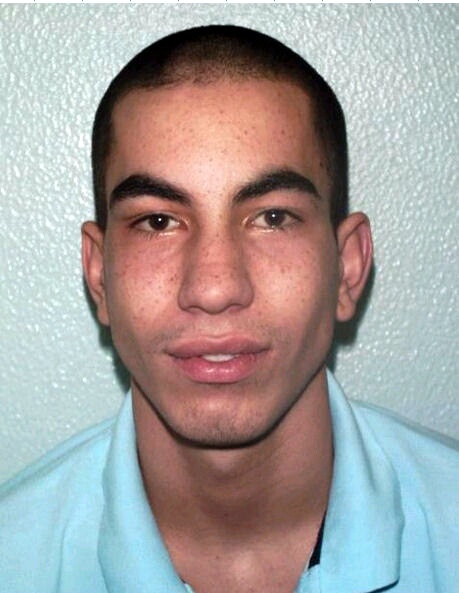 Karl Bishop, 22, would never lose his seething rage and it cost the life of 18 year-old actor Rob Knox. Bishop’s father left when he was five years old and he was brought up with his younger brother Grant by mother Nicole Martin. He lasted two years in a secondary school before going to Bromley College at 14 to study mechanics. By then he had started getting into trouble with the law, earning convictions for criminal damage. He left college at 15 and started carrying a knife after getting into fights with local boys in the area. 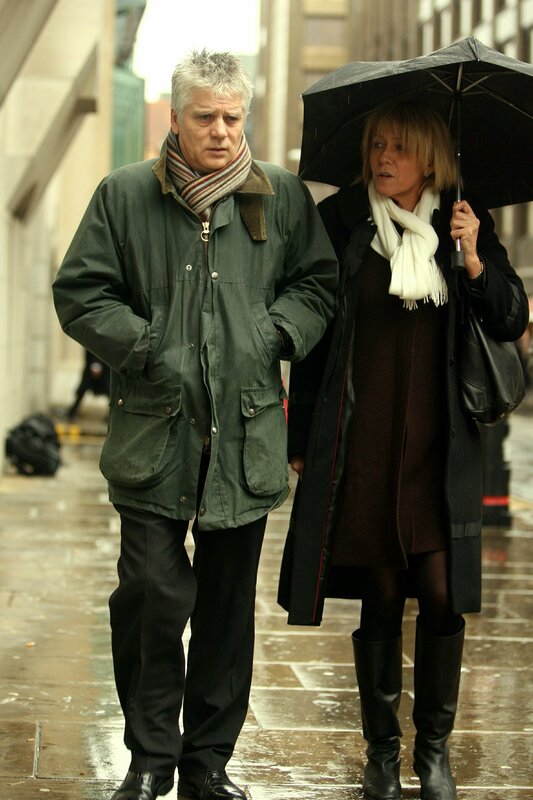 Nine months later on December 4, 2004, Bishop stabbed Ian Sutherland and James O’Doherty near a cab office in East Street, Bromley, south London. The victims had intervened after a distressed young woman complained she had been assaulted by three men including Bishop. Sutherland said ‘Don’t worry about them, they are dickheads’ and Bishop confronted him with a knife. He lunged at O’Doherty, jabbing him in the nose, and then slashed Sutherland across the face when he tried to give chase. Mr Sutherland had to have five stitches to the wound near his chin and O’Doherty had a small cut to the nose. Bishop pleaded guilty to wounding with intent and assault occasioning actual bodily harm at Croydon Crown Court on May 26, 2005. During his four year sentence he did courses in ‘enhanced thinking skills’ and ‘calm’ in the Young Offenders Institution – again with no effect. After serving only around half of his sentence, Bishop was released in March 2007 and moved to New Eltham, where he worked for an air conditioning firm. Just before Christmas 2007 he lost his job and began spending most of his days drunk. In contrast Rob Knox came from a loving home and had embarked on the first steps of a promising acting career. He had finished filming Harry Potter and the Half Blood Prince only three days before his death and was looking forward to being involved in the next film. Although his character Marcus Belby is described inthe books as thin and nervous-looking, he was 6ft 1 inches tall,well-built and a popular student. He saw his future in acting andlived at home in Sidcup with his parents and younger brother Jamie, of whom he was fiercely protective. He was a keen rugby player and expert in Taekwondo. But even his skills in martial arts could not save him from a grinning maniac armed with knives. A week before the killing Bishop was drunk on Jack Daniels and Sambucca when he accused Robert Knox and his friends of stealing his phone which had in fact been taken by a female friend. Bishop then turned and punched Robert Knox’s friend Dean Saunders, 22, in the face, giving him a nose bleed and a split lip. The attack ended in Bishop being kicked and punched to the floor by a mob of young men including Robert Knox. A week later at around 11pm May 23 last year Bishop returned to the MetroBar in Sidcup, Kent, but was refused entry by doormen. Bishop stalked off but confronted Jamie Knox and 19 year-old Nicky Lee Jones outside a supermarket and threatened him with a knife. Jurors read the transcript of a 999 call made by Mr Jones as he followed Bishop back to the Metro bar. Robert Knox heard about the threat to his brother and angrily stormed out to confront Bishop. Friends attempted to hold him back as Bishop stood in front of the bar doors smirking at the crowd of 20 to 30 people. Bishop then briefly put the knives back in his pockets and Andrew Dormer, 16,saw his chance to end the confrontation by punching him in the face. Instead Bishop pulled out his weapons and began slashing wildly at the people surrounding him. He stabbed Andrew Dormer in the chest just below the collarbone, thrust a knife straight through the hand of Nicky Lee Jones, slashed Charlie Grimly in the face and arm and jabbed Dean Saunders in the neck. Jamie Knox said: ‘He was just swinging, flailing everywhere. I believe other people got involved almost instantly. In a desperate attempt to take Bishop down and disarm him, Rob Knox rugby tackled him and pushed him towards the flower bed. ‘When I turned back Rob had both arms round his waist, slumped down, his head pressed against his chest,’ said Jamie. ‘I saw his [Bishop’s] left hand with a knife in. I ran over to the defendant. I wanted to try and get him off. Robert Knox was stabbed once in the buttock and four times in the chest. One wound penetrated his lung and the main artery leading to his heart,causing massive bleeding. Tom Hopkins, 18, said he was stabbed in the head as he tried to pin Bishop down in the flower bed but the jury acquitted Bishop of the charge. Dean Saunders, 18, suffered significant spinal damage in the attack and occasionally still uses a walking stick to get around. Robert Knox’s mother Sally arrived at the scene to find her son fatally injured but Bishop continued to hurl abuse. Both Bishop and Robert Knox were initially taken to the same hospital, Queen Mary’s in Sidcup. Karen Jones said she was standing outside with her friends and some of the victims when Bishop was taken out in a wheelchair. When the news came through that Robert had been pronounced dead at the hospital, police charged Bishop with murder. Giving evidence, Bishop claimed he acted in self defence and might have been killed himself. He said: ‘I was swinging, trying to keep people from coming towards me. I didn’t intend to wound anyone at all but they attacked me. Bishop, of Beaver Lodge, Carlton Road, Sidcup, was convicted of murder,wounding with intent against Charlie Grimley, Nicky Lee Jones and DeanSaunders and unlawful wounding of Andrew Dormer. He was cleared of wounding with intent and unlawful wounding of Tom Hopkins. Bishop laughed at the judge as he was given four life sentences, as if it was the inevitable end of a pointless existence. Mr Justice Bean told him: ‘Rob Knox was among those who tried to disarm you. He paid for his bravery with his life. ‘You stabbed him five times. You also wounded four of his friends. The death of Rob has been a devastating loss to his parents, his brother and his many friends. Their lives will be damaged forever. ‘Rob Knox was a promising young actor who achieved a great deal . The court heard that Rob had been presented by a bravery award after chasing two thugs while working at Marks and Spencer in the Bluewater Shopping Centre on May 24, 2007. Impact statements made by Rob’s parents were so moving that the prosecutor Brian Altman choked back tears as he read them to the court. His statement in full read: ‘On the 24th of May 2008 the lives of many people changed beyond belief. It was on that day my son, Robert Knox, was taken from this earth. ‘His life was stolen, taken without permission. He was taken in the most cruel way possible. His life, love and kindness will never be felt again by his mother, brother, father, nans, granddad, aunts, uncles, cousins, close friend sand newly-made friends. His family saw him grow throughout all his life, from a little baby boy, into an adult. ‘Robert had many attributes – Loving, caring, thoughtful, generous and kind. To name but a few. Robert had just been fortunate and successful in his acting career. Robert loved to act and when he got the part of Marcus Belby, in Harry Potter’s recent film ‘The Half Blood Prince’, he was so excited, happy and proud. ‘Rob made such an impression that they signed his contract for the next film in the Harry Potter series. He had potentially a great career in front of him, but now we will never see him go on to make his mark in the film industry. ‘Writing this statement is so very hard to do. Thinking about your first born son and all that he was and did brings back all sorts of memories. The intensity of his absence is sometimes unbearable. Living my life without my son in it is like having a daily nightmare. ‘Those people that have nightmares will wake up in the morning and say “Thank God it was only a nightmare” and their life returns to normal. The opposite is my new way of life. I live my nightmare daily. ‘I wake up to the fact that my son is not here on this earth for me to hug, kiss, laugh with, talk to, text or phone him. I won’t get to see him become engaged and go on to get married. Nor will his brother now be able to be best man at his wedding. ‘Any children that Rob may have possibly had, I will now not see. They would have been my grandchildren. Mostparents bring their children up to be good and kind. They look forwardto them eventually becoming married and having children of their own. It’s the natural order of life. ‘I would have loved nothing more for Rob than for him to have a successful career, which he was on course to have. To be happy in marriage and for him to bring up his own children. ‘Robert was always playing with young kids and babies, when they were in his company. He would have made a superb father to any children that he would have had. He had a natural talent for approaching people and striking up conversation and getting on with them. ‘As for me, living day to day is quite hard. My children were and still are the meaning of my life. Every day since May 24th, not a day goes by where I don’t cry for my son. It could be at my desk in work, on a train, watching TV or even in bed. ‘There are nights that I lay in bed for hours not being able to get to sleep. I talk to Rob every day. I know he is beside me right now. He has been with me ever since his death. I talk to him daily, as if he were with me, I ask him questions. ‘I talk about some of the things that we have done. I also talk about some of the things that we could have done. I know my son very well and I can see and hear Rob with the answers that I get back from him. ‘All the simple things in life that we take for granted are no longer in reach any more. My life has totally been ruined. ‘Robmy first born son. When he was born and he came home to his first house, I took him in my arms and walked him into the garden. ‘I have done so for eighteen years of my life and those eighteen years were Rob’s life. Thereis nothing worse than an offspring dying before their parents. But there is. When a life is taken by a violent act, then that is sovery hard to accept. ‘I never had the chance to say goodbye to my son. To say goodbye to someone who I loved dearly. What I had to do to say goodbye to Rob, was to go The Chapel of Rest, at Farnborough Hospital. I had to stand over his dead body that was laid out. I had to talk to him without any life or breath in his body. ‘I have always known Rob to have energy and character, but now he was devoid of any sign of life. A life that I, and his mother, had taken special care of, throughout his 18 years. I was a total wreck when I was speaking to Rob. ‘I had to have a friend with me for support. The next thing I had to do was to say goodbye. I didn’t want to leave him, but I had to at some point. As I said my farewell, I bent down to kiss him on his forehead. He was cold, very cold. There was no body heat, body heat that I had always felt when I had ever hugged or kissed him. ‘It was awful, surreal. I stood back and looked at him. He looked asleep. SoI told myself that he was only sleeping and that the angels will take him to heaven. If anyone earned a place in heaven, it was Rob. ‘I look up to my Rob, even though he is my son. He always looked after Jamie. He also knew how to enjoy living and making sure other people did the same. He had a zest for life and that spilled over onto other people too. He loved all his family from mum and dad, right down to cousins and they all loved him too. ‘Rob would always try and entertain people when in their company. If we were having family or friends round, or we were being entertained by them, Rob would always put on a dressing up show, do magic tricks, tell jokes or clown around. He was very popular because of his outgoing and loving nature. ‘This is reflected in the day of the funeral. We had Rob cremated at Falcon Wood Crematorium in the morning and later that same day we had a memorial service at Saint John The Baptist Church in Sidcup. ‘A tthe crematorium we used the largest chapel they had. It was fullto the brim with people standing both the left and right wings, in the doorway and down the central aisle. Myself and members of the family carried the coffin into the chapel. It is something we all wanted to do for Rob. It was the last thing that I could do for my son. There is no more that I can do with him any longer. ‘It was surreal carrying his coffin next to my cheek, knowing that inches away he was lying there. It was a moment that no father wants to experience. As I say we had a memorial service soon after the cremation at Saint John The Baptist Church. ‘That church, I believe, can hold 700 people. To my knowledge everyone was packed in the pews like sardines. No seat was left empty and like the crematorium, people were standing inthe aisles. Such was the popularity of this young man. Loved, liked and highly thought of by many, many family and friends. ‘On August the 21st, it was his birthday. I spent that birthday standing over his grave. As for Christmas morning, I also spent that day standing over his grave. Not something any parent should be doing. ‘Christmas is for families. It’s a special time when they all come together and enjoy the giving and receiving of presents. A time for sitting down and having the traditional Christmas meal,pulling crackers and having a great time. That now has all been taken from me. ‘Christmas 2008 was so very hard to get through. Alsothe New Year. Rob’s death has affected so many people in so many ways. Family life ruined, friendships destroyed and a future snatched away from him so suddenly. ‘Rob was active with rugby in earlier years and travelled to South Africa with Sidcup Rugby club, to play ina world tournament. I am pleased to say that he and his team won that tournament. ‘Rob was also active in Tae Kwondo and regularly attended that martial art sport with his brother Jamie. Both Robert and Jamie were always in one another’s company. They also attended D and B for art and drama together. ‘My feelings are with Jamie as he worshipped Robert. Ever since they were born they did most things together. Sally Knox’s statement reads: ‘You can never comprehend the loss or hurt caused by the death of a child, a child, which was wanted, carried for nine months and encouraged and supported through childhood to a young man. ‘As a parent you hope and believe that you will outlive your children, and although appreciate that in some instances this is not possible due to illness, it is crueller when their life is taken away by the actions of another person. ‘As parents, myself and Colin always supported both Jamie and Robert. Robert was part of a very close and loving family. He was not a violent person and a normal teenager. As parents we taught both our children to have good manners, the difference between right and wrong and the values of life. ‘I will always remember how happy Robert was the night he went to The Metro Bar. He was laughing with his brother and Callum and looking forward to his holiday in Zante. They were so excited, they went out without saying goodbye. ‘How I wish Robert had popped his head around the door to say goodbye. I really wish I could remember the last moment I spent with him, that last look but this was cruelly taken away from me when he died. ‘It’s just a blur. If only I could turn back the clock, give him one more hug, take one more look at his face, tell him how much I love him. I will never forget the impact of that phone call from Jamie, telling me that Robert had been stabbed, feeling total panic and disbelief on whatI was hearing. ‘I just knew I had to see “my boys” as soon aspossible. No one can understand the panic and fear what I was going to find when I got down at The Metro Bar. When I saw Jamie in total desperation, covered in blood. I felt sick and frightened on what I would find. ‘I wanted to be with Jamie and comfort him but I needed to get to Rob. I couldn’t believe what I saw as I ran towards The Metro Bar. AllI could think about was being with and seeing Rob – letting him know I was there, with him. I was desperate to get to Rob but I couldn’t. ‘All I could see was him lying on the ground outside Somerfield with everyone around him. I wanted to go to him, speak to him, comfort him, hold him, but I couldn’t and wasn’t allowed. I understand why, but I needed to be there with Rob. ‘I hoped and preyed he was okay, but not being able to see him. I realised just how serious it must be. This was reinforced when the paramedic came over to me and told me that they were working on him and doing all they could. ‘I don’t know how long I was there standing, waiting but it seemed like for ever before he was put in the ambulance. I was so numb and shocked all I wanted to know was what was happening with Rob. He was my main and only concern. ‘How I hoped and was preying that he was ok, and trying to reassure Jamie as well. ‘The wait in the hospital was so long, part ofme knew but didn’t want to believe Robert was dead, before we were told officially. I had a cigarette outside whilst waiting. ‘I just knew, but I couldn’t explain how or why I knew. I will never forget the worse moment in my life when a police officer and a doctor walked intothe family room and told us that Robert had died. ‘The moment they walked in I just knew. I wanted to die myself, I couldn’t believe it. They were talking about my boy, a young man who hours earlier had been chatting and laughing in the kitchen before going out. AllI could think about was just wanting to see Robert, kiss him, tell him he would to ok, I felt so guilty I wasn’t there with him. ‘I am a little comforted that I have been told that his best friend Callum was with him, and talking to Rob at the end outside Somerfield. ‘Whilst at the hospital we realised the agony of having to tell grandparents that their grandson was dead. Howdo you make that call? Once I accepted I couldn’t see Robert, I needed to be home. It was the longest night, what could you say, what could you do? ‘We were all numb and totally shocked. No words can explain the feeling of losing your son in such an unexpected way, his life taken away by the actions of another person. ‘We had a two day wait before we could see Robert, the overriding need and priority above all the other emotions and was feeling was to see Rob. The circumstances in which Rob died stopped the natural progression of saying our goodbyes. ‘Although I understand the reasons why, it didn’t make it easier. As much as I wanted to see Robert and knew a formal identification needed to be made, I was apprehensive, as I didn’t know what to expect. This turned out to be the best decision, I could have made, to see Robert. ‘He was so peaceful like he was asleep and had a smile on his face. It was such a relief to be able to talk to him and give him a kiss goodbye. We as a family felt that the public needed to know the impact of such a loss on the family and the consequences of carrying knives, so we did a press release. ‘We were aware that the press would not leave us alone, because of what had happened and Rob’s part in Harry Potter so we hoped that by doing this if it stopped “one”person carrying a knife and getting the message across, that Robert would not have died in vain. ‘The press interest was constant we needed time as a family to try to come to terms with what had happened. Once the initial numbness and realisation set in, and realised that Robert would never walk through the door again. ‘I started to think about all the things that Robert would never do, have close relationships, get married, have kids or fulfil his dreams and ambitions in life. He was so looking forward to going to Zante with his mates, his first boys only holiday without mum and dad! ‘Robert loved children and they loved him. As a family the only way of coping and dealing with the loss of Robert is to take one day at a time,and to remember the good times we had with him. I miss Robert every day and some days are worse than others. ‘Little things can cause such pain but likewise can bring a smile to your face when you remember a particular thing or event. This applies to myself, Colin, Jamie, grandparents, aunts, uncles, cousins and his friends of which there were many. ‘Being a mother I am fully aware of the affects of our loss of Robert not only on myself and Colin as parents, but more so on Jamie, Roberts younger brother. Jamie has not only lost his brother he has lost his best friend, confident and protector. ‘One way Jamie is trying to cope is being determined to follow his brother’s footsteps and live the dream that Robert had which was to be an actor and travel the world. I try to talk to Jamie about the loss of Robert but it is still very difficult and raw. ‘Jamie and Robert were typical brothers and argued about silly things but being so close would make up and do everything together. They even had the same set of friends. ‘Jamie has been robbed of this relationship, which was so special and he will never have the close relationship I have with my sister. ‘This saddens me. I cannot explain what it is like living without Robert, the hurt of not being able to have a chat with him, not being able to cook and look after him. I miss him so much, I wish we could laugh together again, moan at him for being untidy, lying in bed, the normal things in life. ‘It wasn’t until Robert died, did I realise how many friends he had and how much he did for other people. Hearing about the good things has made me realise the difference Rob made to others in his short life. ‘One moment which will stick in my mind forever, was finding out that Robert was going to receive a bravery award for assisting police whilstworking at Marks and Spencers. This had two affects on me, one being a proud parent but I was saddened that he was not here to pick it up himself. It would have meant a lot to him. ‘Losing Robert has changed our lives forever, we will never forget him and although we miss him every day we will always have the milestones of Christmas, his birthday and the anniversary of his detach, to overcome. ‘To make sense of Roberts’s life and in his memory, I want his life to have made a difference, and I will continue with supporting campaigns and raising public awareness against street violence and knife crime. ‘I really wish that no other family have to suffer and endure the loss of a loved one, at the hands of someone with a knife. ‘The impact of Robert’s death has made me realise the consequences of someone carrying a knife and the need of a suitable deterrent. ‘In the past I would read things in the newspaper, but always thought it would never happen to me, but it is important for society to know itcan happen to anyone. My faith in the legal system is to ensure that the person responsible for Robert’s death is dealt with appropriately.